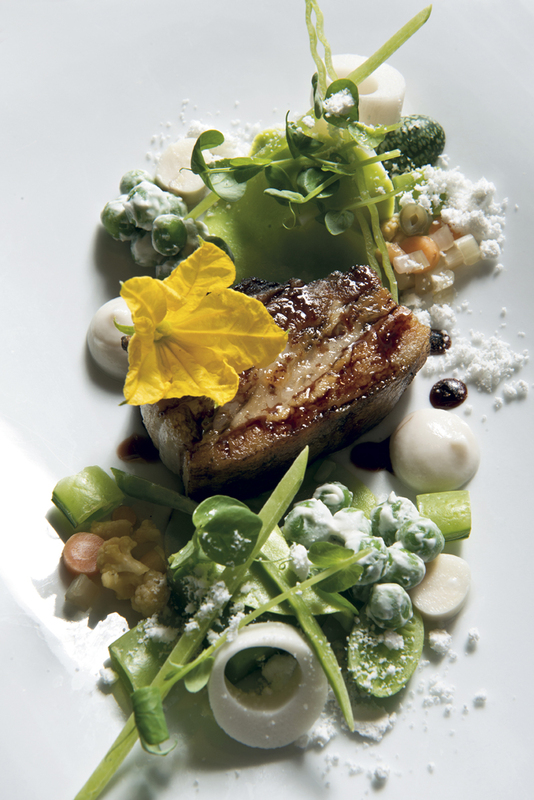 Nick Sullivan is the Executive Chef at 610 Magnolia, where he runs day-to-day operations for celebrity chef Edward Lee, a former Top Chef contestant. Sullivan’s cooking, which combines Southern food with ingredients and techniques from around the world, is beginning to earn him accolades of his own. 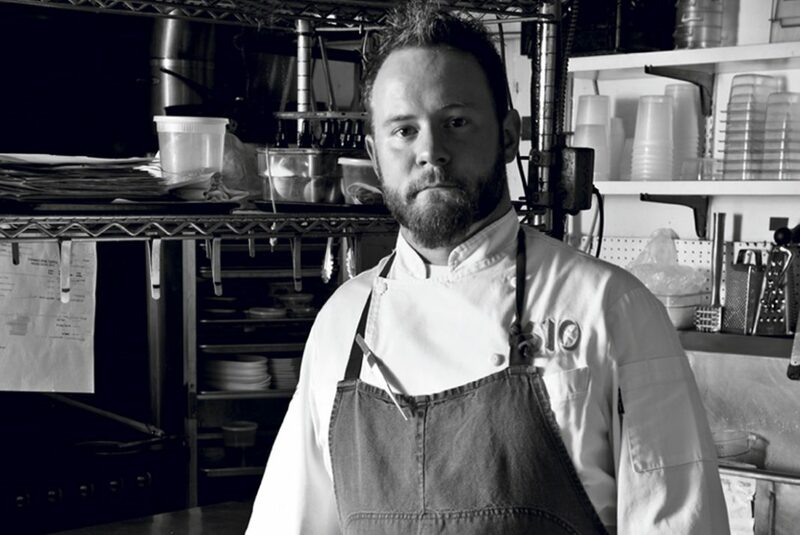 In 2012, on-line restaurant review aggregator Gayot.com named him one of the “Top 5 Rising Chefs in the U.S.” Food & Dining sat down with Sullivan for an in-depth discussion about the Louisville dining scene, his advice for amateur chefs, and where he sees himself in the future. I like to read books and food publications. Outside of that I like hanging out with my friends. I’m also active in my church. What’s your greatest strength in the kitchen? I’m very meticulous; very detail-oriented. I like the finer details. Just that. I get so meticulous and so caught-up in garnish work or some detail that it keeps me from focusing on the bigger picture. The first thing that comes to mind are the holidays. Christmas was big for me. I liked how the whole family got together. I would sit on the countertop while they prepared the meal, right in the middle of it. That memory stands out more than any. It’s between my mother and my Aunt Jean. Thanksgiving and Christmas — that’s when we’d have — you call it dressing here, but we called it stuffing. We’d have chicken and stuffing. That was one of my favorite things about the holiday meals. I’ve got kind of a little list of them: Michel Bras at Aubrac in France; Thomas Keller at the French Laundry in California; and Grant Achatz at Alinea in Chicago. When I was 18, a senior in high school, we had a snow day. A couple of buddies and I decided to make breakfast. I really liked the way we worked together. That was the first time I ever thought about cooking for a living. Now, I like the creativity. I like the challenge of pushing boundaries. Dead. Honestly, I can’t think of anything else I’d like to do. Don’t focus so much on instructions. Instructions are basically a guideline, some­thing to go by. I would encourage people to cook from their heart. If something looks like it is burning, it is burning. Slow it down. Once you start cooking from the heart, I really believe you start enjoying food more. What elements separate an everyday dish from something a diner might savor years later? If you can tap into a diner’s emotions. If you can make a dish that reminds them of a childhood memory or a special day. Once you start tapping into that cerebral emotion, that dish is going to live with them a long, long time. If you could cook a meal for anyone, who would it be and what would you cook? Marco Pierre White. He was the original rock star chef. He got three Michelin stars when he was 24 years old. He was the first English chef to be awarded three stars. Best thing you’ve ever cooked? What I’m cooking right now! Your last food-related “wow moment” was …? Last week I made a foie gras cake and turned it into a crouton and it kind of blew my mind. It was an experiment that I ended up putting on the menu. I was very happy. The last time you were scared in a kitchen, or by a dining experience, was…? What music was playing in the kitchen last night? I like to run a quiet kitchen. When the whole staff is there working, I run a quiet kitchen. It’s strictly business. Essential Cuisine by Michel Bras. It’s an older book, but his philosophy on food is really beautiful. He was doing things 10, 15 years ago that would still seem avant-garde today. He cooks from his sur­roundings and he does things that you can reflect on to this day. Are there any culinary trends you are wild about right now? I think something that is going on right now is the Latino, kind of Mexican influence. But, it’s not really my style. Any trends you consider overrated? People who say they have a dietary re­stric­tion when they don’t. It’s really a preference instead. If you are gluten-free, you’re gluten-free, period. If you can’t have it, we’ll make concessions. But don’t jump on the bandwagon. What cooking skill required in your kitchen is the most difficult to master? Discipline. There is a reason for everything. There is a reason why we put towels in a container. There is a reason why we label and date everything. There is a reason why I carry tweezers in my coat. It’s because every single thing should be thought through and executed to the best of your ability. If you had to work for one chef in the world, who would it be? Marco Pierre White. It’s not current-day Marco Pierre White. It’s old-school Marco Pierre White. When he was at the helm. Other than your own restaurant, what’s the first place you’d take an out-of-towner? I most recently ate at La Coop. That was a great experience. Bobby Benjamin is a great guy and it’s straightforward good food. Leftovers. I usually have a bare refrigerator. It’s mostly condiments: jams, mustard. I will have some lunch meat. Right now I’ve got some barbecued chicken. Is there anything in that home fridge you’d rather not admit to having? Hot Pockets. Chicken and broccoli hot pockets. Everybody that knows me is going to laugh at this: it’s hot wings. Love me some hot wings! I like spicy food. I’m not a huge fan of offal which is the off-cuts of some meat: liver, kidney, heart — stuff like that. I just don’t work with them that much. But I love foie gras. Your favorite quick meal to prepare at home? I don’t cook at home like I do at the res­tau­rant. I would probably fix some nice roasted potatoes, whatever seasonal vegetables, and fire-up the grill and throw on a chicken breast or some meat. Maybe even some fish, and call it a night. My most memorable meal was at Alinea (in Chicago). I was so impressed that I staged [apprenticed] there for a week. Kitchen tool(s) you cannot live without? Vitamix blender — specifically the Vita-Prep. It’s a high-speed blender. It is one of the biggest workhorses in our kitchen. Kitchen tool the home chef doesn’t know about but should? I think a Vitamix product. It’s an invest­ment, but it is a great investment. Home blenders are not able to mix like a Vitamix. Especially when you’re talking about soups or purées. Do you have a go-to farmers market and what do usually shop for there? I’ll be honest, I haven’t been to a farmer’s market this year. But we do have a lot of relationships with farmers. We deal with RAPP, which is the Refugee Agriculture Partner Program; Fox Hollow Farms; Ambrosia Farms for tomatoes; River Crest Farm for rabbits. Are there any ethnic markets that you frequent? Yes. It’s simply called the Oriental Super­market. It’s on Gilmore off Preston. Great selection of hard-to-find items and it’s easy to navigate. Give us one reason Louisville should be considered a culinary destination for traveling foodies? Our food scene is exploding right now. 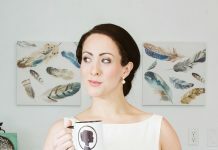 It’s largely due to us as chefs challenging our­selves, and the diners being supportive of that. It is a team effort on the part of the diners and the chefs. If you had a time machine, what would be your first stop in culinary history? I would love to see back in the days when they didn’t have the modern technology, like modern ovens. I’d like to see how they cooked over open fires. I’d also like to see when the brigade system came around with Auguste Escoffier in the early 1900s. 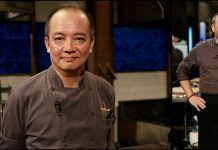 Iron Chef Louisville: Who do you not want to battle? Y’all are setting me up for something here! I would challenge anyone. That’s not saying I’m better than anybody by any means. I’m just going to cook the way I’m going to cook, and that’s about it.